Strawman Farm was founded on the idea to bring top quality, ethically raised bison meat directly to the people: ranch to table. Although Strawman Fram was founded in 2009, Bob and Lori Holm along with Sons Stephan, Dylan, and Liam, are dedicated to a lifestyle of watching over and caring for their herds in a humane and ethical way – with no growth hormones or steroids, antibiotics, vaccines or Grains they allow the herds to roam free, minimally handled for most of their lives. Strawman Farm has specialized in raising quiet calm pure Plains Bison. Each year we offer some of our best bison for sale as breeding stock to other bison ranches. Since we established our ranch we have strived to keep our herd pure and we have a well managed, selective breeding program to ensure we maintain the purity of our herd. We started our herd with the best heifer calves we could buy and a selection of the best bulls we could find. The herd has been closed, except for the addition of a small number of breeding bulls. Our current cow herd consists of the best heifer calves born on the ranch. Maintaining a closed herd with little exposure to other bison has been key to our maintaining a very healthy quiet herd of bison. We have selected for thick solid bison with good meat yield, fertility and calving ease. 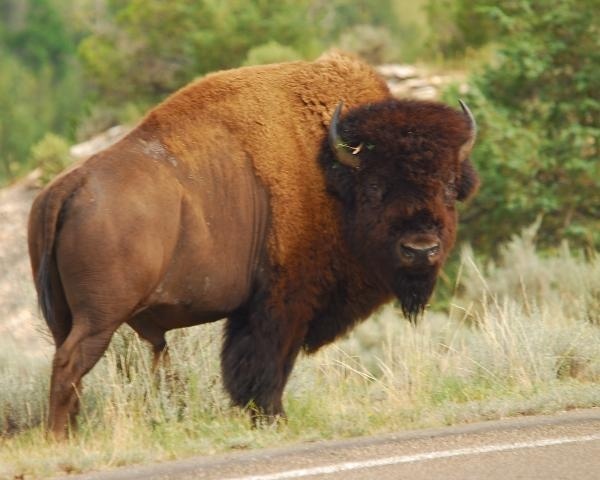 We also look for good rates of gain in our bison especially on grass. 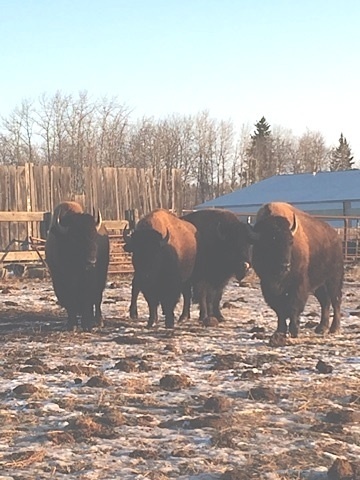 We have helped to establish other new bison ranches and we are willing to help you get into the bison business. The following three bulls are now available. .